Hinduism is the only major religion in the world which emphasises the worship of God in the form of the female divinity, popularly known as 'Adi Shakti - the Mother Goddess', representing the very essence of life and love. The Mother Goddess is worshipped in various forms - as the Universal Mother, UmaiParvatVGauri as the consort of Shiva; Lakshmi as the consort of Vishnu and also as the goddess of wealth and prosperity; Saraswati as the consort of Brahma and also as the goddess of learning; Durga as the destroyer of all evil forces, etc. There are also traditions of worshipping the various manifestations of the Mother Goddess in groups - Nava Durga, Asta Lakshmi, Sapta Matrikas, Asta Siddhis, Dasha Maha Vidya, etc. Apart from these popular forms, the Devi manifests in many dimensions - as Kaali, the purveyor of time, representing Kriya Shakti - the power of Action; as Lalita, the beautiful goddess of the three worlds, representing Jnana Shakti - the power of knowledge; as Bhuvaneswari, the Queen of the Universe, representing Iccha Shakti - the power of Desire; as Maha Maya - the great seductress, as Moola Prakriti - the primordial nature, etc. Again as 'Nature' she represents both its benign and ferocious aspects - in her 'Saumya' and 'Raudra' forms. In villages throughout India, She is also worshipped as the 'Grama-Devata' - the village protector. All this has led to the development of a rich and complex theology around the female divinity (Goddess as the highest principle, underlying all creation). 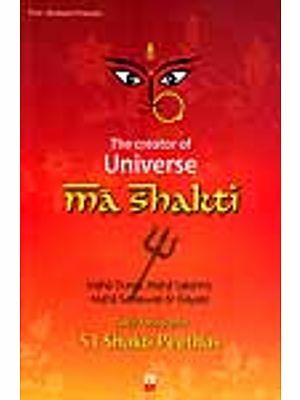 Shaaktism considers Shakti as the motive force behind all action and existence in this phenomenal world. Shaakta Sidhanta encompasses nearly a wide variety of views and beliefs, some of them involving the highest forms of philosophical speculation. 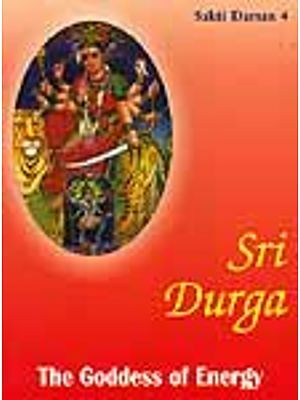 This book presents a bird's eye view of all these issues in order to give the reader a general understanding about Adi Shakti - the Mother Goddess. Hinduism is perhaps the only major religion in the world, which emphasises the worship of God in the form of the female divinity. This female divinity is popularly known as 'Devi - the Mother Goddess' or the 'Divine Mother: who represents the very essence of life and love. She is also worshipped in various forms - Rajarajeswari as the Universal Mother, Uma/Parvati/Gauri as the consort of Shiva, Lakshmi as the consort of Vishnu and also as the goddess of wealth and prosperity, Saraswati as the consort of Brahm a and also as the goddess oflearning, Durga as the destroyer of all evil forces, etc. Apart from these popular forms, Devi manifests in many dimensions- as Kaali, the purveyor of time, representing Kriya Shakti - the power of Action; as Lalita, the beautiful goddess of the three worlds, representing [nana Shakti - the power of knowledge; as Bhuvaneswari, the Queen of the Universe, representing Iccha Shakti - the power of Desire; as Maha Maya - the great seductress, as Moola Prakriti - the primordial nature, etc. Again as 'Nature' she represents both its benign and ferocious aspects - in her 'Saumya' and 'Raudra' forms. In villages throughout India, Devi is also worshipped as the 'Grama-Devata' - the village protector. In Shakti Yoga, she is Kundalini - the raw cosmic force present at the base of the spine in the human body. 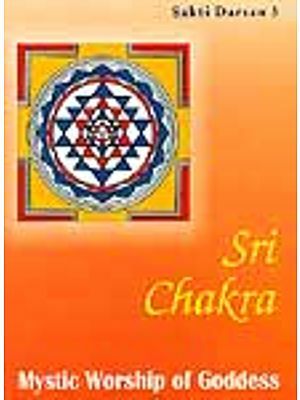 Awakening of Kundalini and taking her through the six chakras and the three granthis, to enter Sahasraara is the primary objective of the Sadhaka in Shakti Yoga. Again Devi can be worshipped through either Satvic or Tantric procedures. 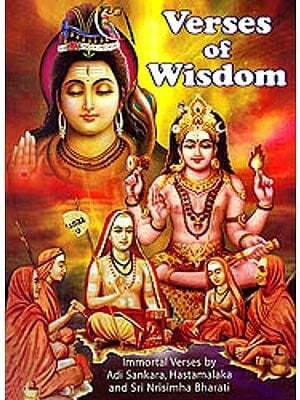 Through worship of Devi, one can attain self-realisation. This is also termed as Mukti or Moksha. All this has led to the development of a rich and complex theology around the female divinity (Goddess as the highest principle, underlying all creation). Shaaktism considers Shakti, as the motive force, behind all action and existence, in this phenomenal world. Shaakta Sidhanta encompasses nearly a wide variety of views and beliefs, some of them involving the highest forms of philosophical speculation. From ancient times, a vast body of knowledge known as "Iantra' has evolved as a quest of spiritual perfection, in the worship of the Divine Mother. Divergent forms of tantric practices have been in existence in different regions of the country for the past two thousand years. The Tantra holds the view that in the same world in which we live, there also exist other worlds in different dimensions and spread over a rising tier of consciousness. The philosophical aspects of'Shaakta Sidhanta' are still more interesting, when compared to classical Vedantic philosophies. 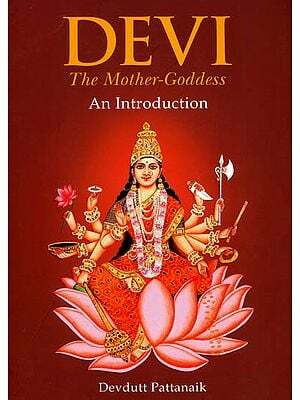 This book attempts to present all these issues along with the different facets of the Divine Mother, to enable the reader to get a primary understanding of the Goddess. I am grateful to the Divine Mother who gave me proper insight and encouragement to write about her glory in this book. I am also thankful to Sri Kashi Subramanya Swamiji of Chintamani Mutt, Hospet, Karnataka, for having given me valuable guidance in writing this book.